Are you tired of your thinning hair and want to do something about it? Read on for our 12 simple tricks and tips on how to get thicker hair for men. By the age of 35, 66 percent of men in America will experience some level of hair loss. This number increases to 85 percent for men over the age of 50. What does this tell us? That thinning hair in men is common. Unfortunately, this fact doesn’t make it any easier to accept. 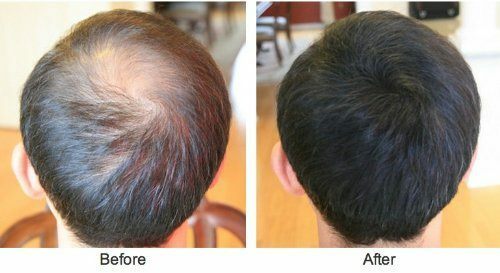 If you are one of the millions of men suffering from thinning hair, chances are you want to find a solution. The good news is, there are several tips and tricks that can help. If you want to know how to get thicker hair, keep reading. Here you will find several tips, tricks and methods you can use to eradicate your thinning hair — once and for all. Regardless of the cause, it’s possible to help improve the thickness of your hair. Let’s get into our tips and tricks on how to thicken hair for men. Let’s tackle this difficult issue head on and find out some ways that really work. There is a wide array of shampoos on the market today that claim to help your hair look thicker. However, there is only one ingredient that has been shown to be effective against genetic hair loss — ketoconazole. Keep in mind, this substance is still only widely available if you get a prescription for it. However, there are a few products available over-the-counter with this ingredient. If you opt to use a shampoo with this ingredient in it, make sure that you only use about a quarter-sized dollop two to three things a week. If you use more than this, it may dry out your hair, causing it to break. Use a non-irritating shampoo on the days you don’t use ketoconazole. There are also thickening shampoos that do not contain ketoconazole that provide excellent cosmetic benefits. We’ve compiled a list of the top thickening shampoos on this page. You may have heard of the brand Toppik, but there are now over a dozen hair building fiber brands out there now. These hair fiber proteins bind to your existing hair and make it look extremely dense. Some of these products are even water resistant and can last longer than 24 hours. This is easily one of the fastest ways for how to make hair look thicker for men. For some great product ideas, we suggest checking out our top 10 list of the best hair loss concealers. We take a closer look at the popular brands and compare apples to apples. Eggs aren’t just a delicious food for breakfast anymore. Due to the high protein content, eggs are great for your hair. In fact, they can help to rebuild thick, strong hair. When used on a regular basis, an egg treatment can help to strengthen and thicken your hair. By using an egg treatment one to two times a week, for several weeks, you may effectively strengthen and thicken your hair. There are quite a few men who worry that if they keep washing their hair, they are going to lose more. However, the fact is — washing can actually help to thicken your hair. Surprised? It’s true! Greasy, dirty hair lies completely flat. It may also appear “gappy.” To achieve the best possible results, try to find a quality shampoo. Also, use warm water to wash it. Hot water will dry out your scalp and hair. A common question we see is “how to thicken hair for men naturally?”. Olive oil is another natural way to help thicken your hair is by using an olive oil mixture. Full of omega3 acids, along with other nutrients, olive oil is beneficial for your hair in many ways. 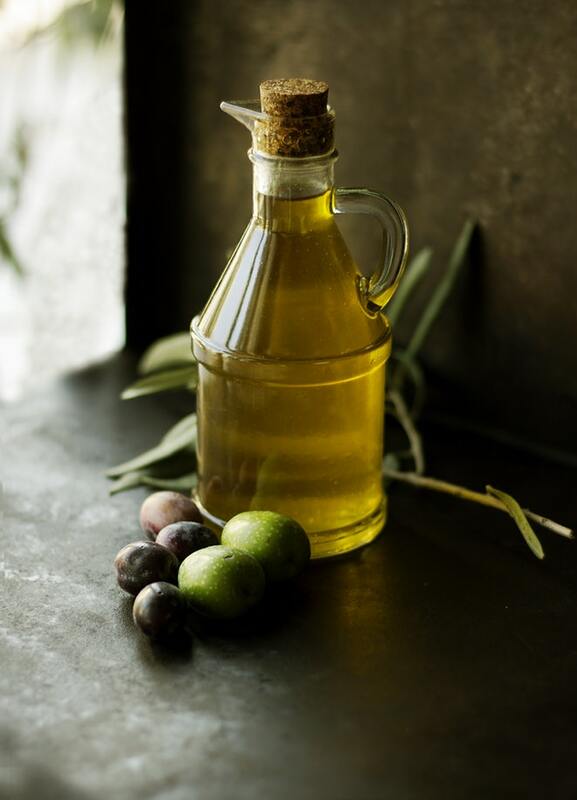 When it is applied directly to the scalp, olive oil will not only help with making it thicker but also soften your hair and relieve cases of dry scalp. There are some people who say additional benefits can be seen if you add honey into the olive oil mixture. Others have suggested that you leave the mixture in your hair overnight. If you opt for this method, be sure to use a shower cap. Otherwise, your pillow may be covered in oil. Take a break from using your comb or brush. If you constantly comb and brush your hair, it may make it appear flat and limp. A better option is to style your hair using your fingers. This will help to thicken your hair and add texture and volume. Smoking is bad for your health. You have likely heard that time and time again. However, if that’s not bad enough, it can also be detrimental to your hair’s health. In fact, smoking can increase the hormone levels that trigger hair loss. It can also constrict the small blood vessels that provide a blood supply to your scalp. If this happens, your hair will be starved of the nutrients needed to help it grow. Did you know that hair is up to three times weaker when it is wet? As a result, if you towel-dry or over-comb your hair when it is wet, then you may cause significant damage. This may even result in your hair breaking or snapping. This is the last thing you want to happen if your hair is already thinning. A better option is to allow your hair to dry naturally. If necessary, you can pat it gently and then style your hair with your fingers. This will add texture without causing any damage. A nutritious diet that’s full of protein, fats and a wide array of vitamins can help significantly with thin or thinning hair. In many cases, your thinning hair may be a result of you not getting the proper nutrients. Not only will your current hair look better, but this how to grow thicker hair too. You should try to add about one to two servings of the above-mentioned foods to your daily diet. Even adding only three or four servings per week can help to improve the health of your hair. If you are using different types of heavy gels and waxes on your hair — that’s already thinning — you definitely aren’t doing it any favors. These can weigh your hair down and make it appear flat and thin. If you want to use a product that will aid in your hair’s thickness, then try to find a quality mousse. This, along with certain sprays, can help provide the “root lift” needed. You don’t need to let your hair bake in the hot sun. Sunburn can cause your hair to be fragile and brittle. It can also cause your scalp to produce a substance that is called super-oxide. If this happens, the follicles may be triggered to switch from a growth phase to a shedding one. The easiest way to avoid this issue is to wear a hat when you are out in the sun. There are many people who agree that the Aloe Vera plant is extremely beneficial to your scalp, skin and even the hair. If you apply the aloe oil directly to your scalp and hair, it can help to thicken and strengthen it over time. This is another natural way to accomplish how to make hair thicker for men. There are a number of commercial products that contain aloe and that are available. You may find them in cream or gel form. 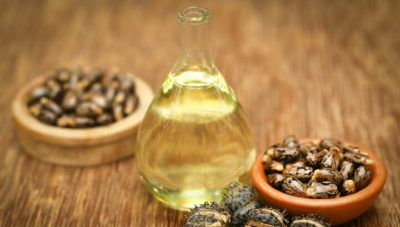 In most cases, you can apply these products directly to your hair and scalp. If you want to create a homemade solution, this is possible too. Rub some pure aloe gel directly into your scalp. Let it sit for about 30 minutes before you rinse it off. You may even want to mix the aloe with olive oil or coconut oil. For best results, try to use this mixture one or two times per week. Thanks for joining us on this journey to learn about how to make your hair thicker for men. The tips above should give you a good start. In some cases, it may be necessary to speak with a professional to find out the underlying cause of your hair loss. This can help you find a more targeted solution. If you want more information about oral or topical treatments for thinning hair, be sure to check out our website. We are constantly posting new, helpful information and resources about hair loss to help you overcome this problem.